Fostering: The Three Kittens in a Boat! When I got these three boys (exactly a year ago today!) I consulted my list of foster names and knew immediately that they were the Three Kittens in a Boat I had been waiting for. Three boys, all looking very handsome, and clearly the types to take a boat trip down the Thames. They came to me as an owner-surrender since they hadn't been neutered and vaccinated yet, so couldn't be adopted out. I was surprised when Harris was first to be adopted. You always hear how black cats are the last to go, especially when he wasn't particularly cuddly. But the people who came to pick wanted a good mouser and Harris was a perfect fit. He was basically a mini-panther. It was a little bit heartbreaking when Jerome followed him into the cat carrier. Once he left, his brother wailed and wailed for a good while. Luckily, Jerome found a home soon after. He was the only long-haired boy of the three and the first long-haired cat I'd ever spent much time with. 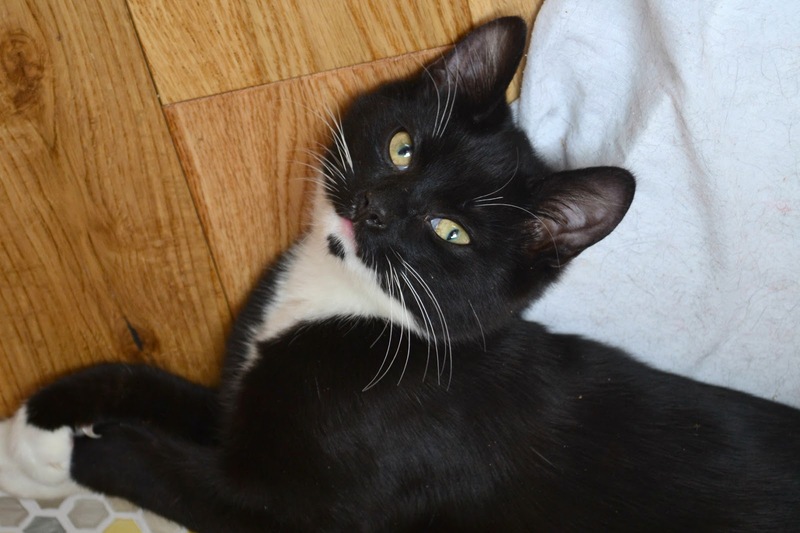 When they came to me they were infested with fleas, even after treatment, but none as badly as Jerome. The first couple hours I spent with them, I could pick them off with my fingers as they crawled all over them. Jerome was the only one who had the horror of a bath though. He got through it well though and the little kids in the family that adopted him were smitten with this pretty boy. 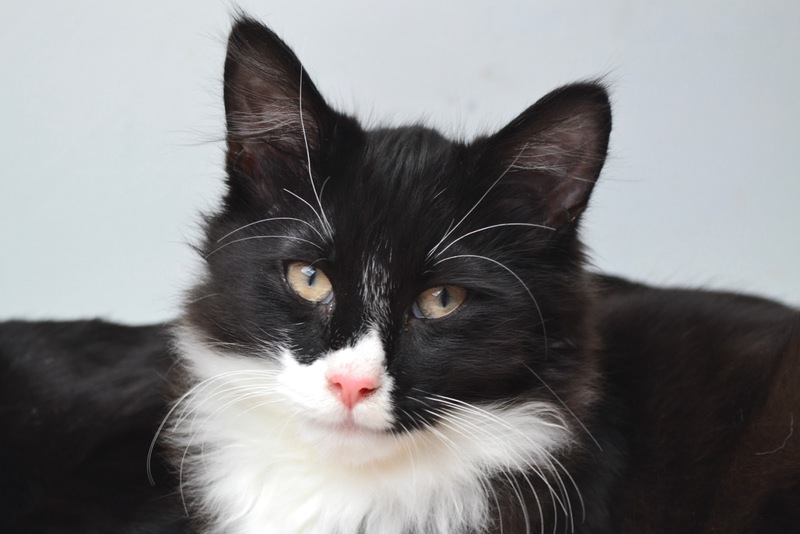 And finally, my favourite, George was adopted. I'll admit, this one stung a little. Not as much as dear Gilbert but close enough that I shed a tear or two! He was such an affectionate cat, and would stand on the back of my desk chair and rub his face all over mine while I studied. Sometimes he would even 'wash' my hair. He ended up being adopted by someone who knew my dad so we got an occasional update and he broke his shoulder a few months after adoption, but bounced back. I had these three in totally for about a month and it really shows how varied cat fostering can be. 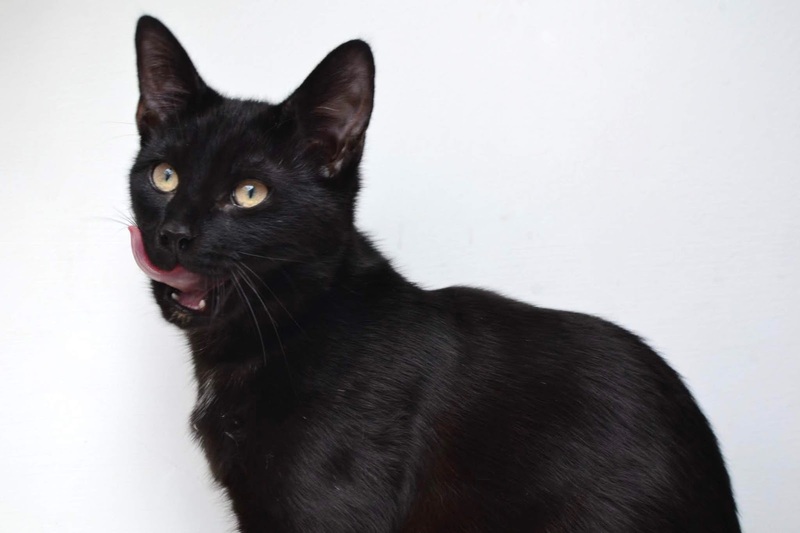 You can have shy kittens, neglected cats, pregnant queens, or in this case, three healthy boys who just needed a little tender loving care and a place to be while they wait for a home. It's totally up to you how often you take them in and doesn't cost a thing but time, since I foster through Cats Protection who cover food, litter, vet visits and even toys! I picked up Date With Death by Julia Chapman at a small independent bookstore because it looked so dang cosy and cute! I actually read this a couple weeks ago and it wasn't my favourite but I have to buy a book whenever I go into a small bookstore! A slightly less moral purchase was Ink and Bone and Ash and Quill by Rachel Caine. They both went on sale for £1 on Amazon a couple of months ago and this series has been on my radar for a while so I picked them up. I might not get around to them soon but as a student on a limited budget? A must-buy! 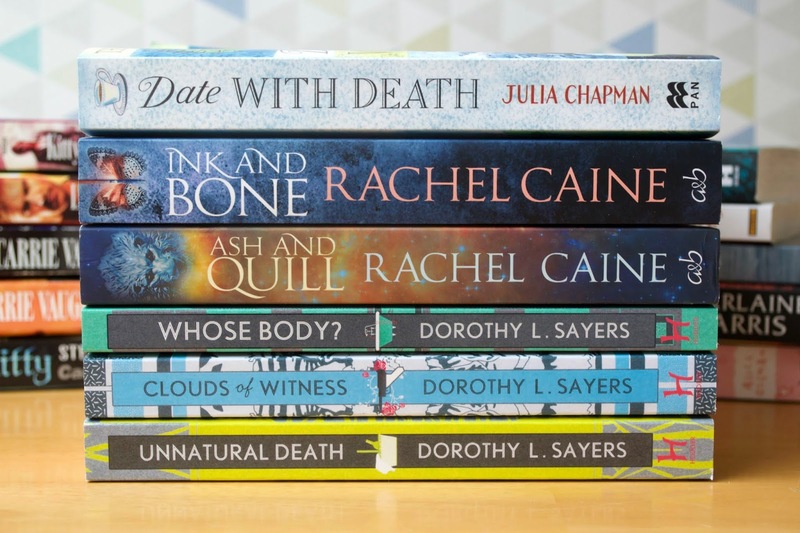 I started listening to a new podcast, Shedunnit, and Dorothy L. Sayers gets mentioned a lot so when I saw a collection of the first three books in her series; Whose Body?, Clouds of Witness and Unnatural Death, for £5.99 on The Book People? I had to! 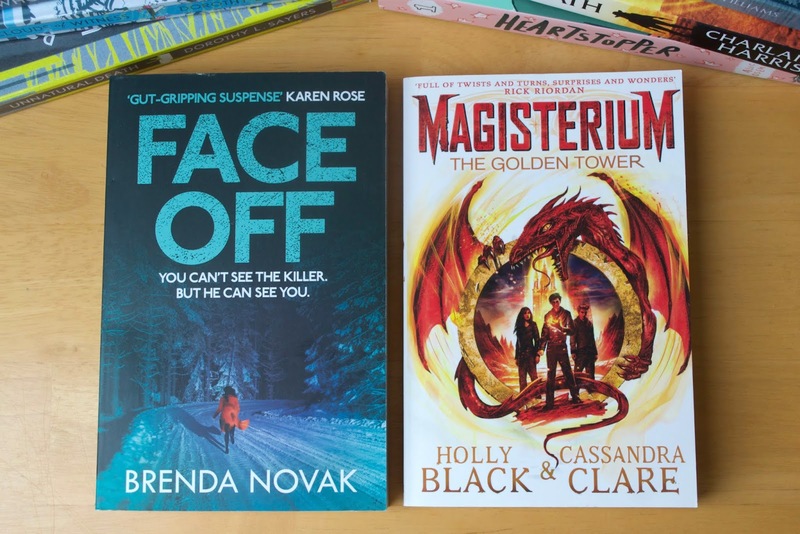 Face Off by Brenda Novak and Magisterium: The Golden Tower by Holly Black and Cassandra Clare are both series I started reading because I was sent the first couple books by publicists and continued on to buy the rest myself because I loved them so much! I read both of these in 2018 and I really loved both of them. 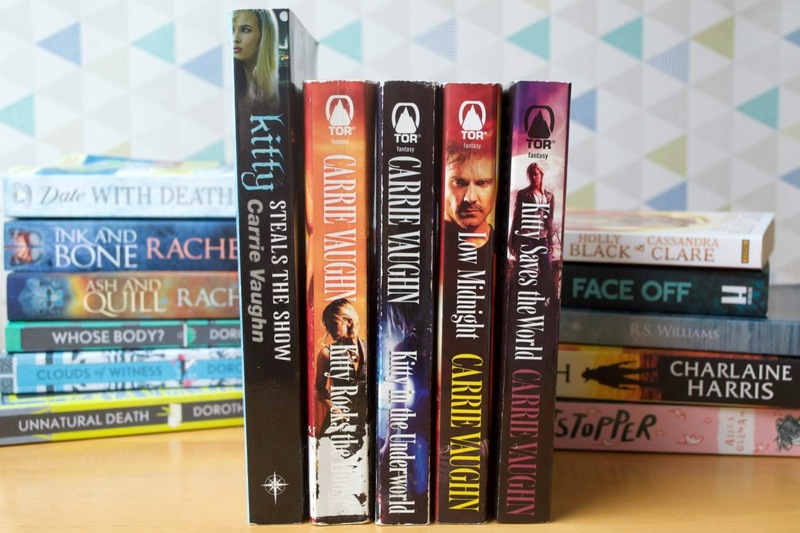 Kitty Steals the Show, Kitty Rocks the House, Kitty in the Underworld, Low Midnight and Kitty Saves the World by Carrie Vaughn are all the Kitty Norville books I have left to finish the series which I started reading in March 2014! I read three out of five in 2018 and I'm so close to the end, I can practically taste it! The UK publisher doesn't have rights for the last four books, so I had to import the last four and my bookshelf is much less aesthetic now. I was one of 1576 backers of Heartstopper by Alice Oseman on Kickstarter and it's now being published by Hodder! Plus, you can still read it for free online. I think Heartstopper is great but I don't think the art translates as well in print. 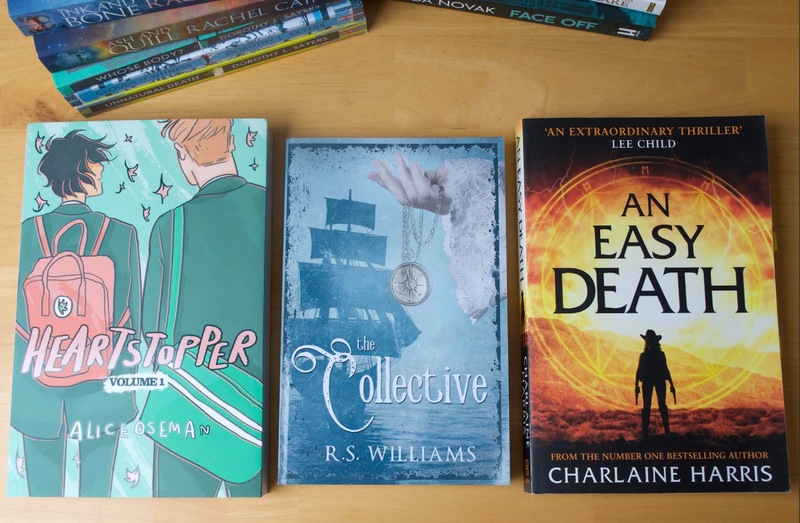 Rhianne is an incredible blogger who writes about writing so I picked up her first novel; The Collective as she has really helped me become a better writer. I'm a terrible reader though and haven't got around to this yet but it's on my ASAP-TBR, especially with the second book in the series now out. Charlaine Harris is my favourite author so I, of course, had to pick up An Easy Death. It's her new series and while the first book didn't really blow me away, she's my ride-or-die author and I'll be continuing the series. In 2018 I read 54 books, and according to Goodreads, that figured out at 19408 pages. Interestingly, I figured out that while I read less books than I did in 2017, I read longer books so more pages. The longest being It by Stephen King at 1376 pages, which is just obscenely long, but also a lot of 400-500 page books that I wouldn't have dreamed picking up in the past. But which were my favourites? Third place goes to... Autoboyography by Christina Lauren! I'll be talking more about this when I finally catch up with my monthly reading posts but I read this in hours, as an audiobook, which is so unlike me. And it's a YA romance, which isn't my genre. This just blew me away on so many levels and has me searching for more M/M romance to fill the gap this has left in my heart. Second place goes to... The Ninth Rain by Jen Williams! Sometimes a book is refreshing. It reminds you why you like reading in the first place and the real magic of a good story. You can read my full review rave here because I truly need to stop myself before this becomes another post all about how great this book is and how everyone should read it right this second. My favourite book in 2018 was... The Mill on the Floss by George Eliot! Of course, my favourite book this year was a classic! It's wild to me that looking back to when I started this blog, I was truly anti-classic. This was a wonderful book, and the only one in 2018 to make me cry. If classics aren't your thing, give The Mill on the Floss a try, it's progressive and charming and heartbreaking and a true English delight. 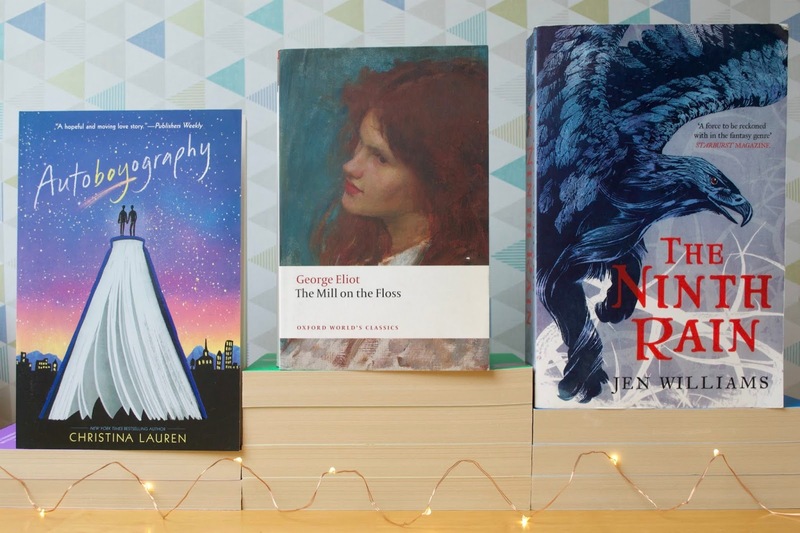 What were your favourite books of 2018?